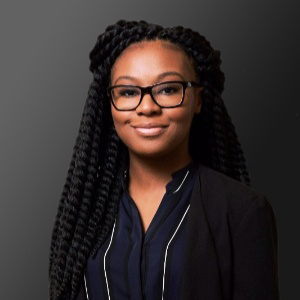 Macaulay Honors College at the City University of New York is pleased to announce that Thamara V. Jean ’18 (Hunter College) has been selected to the American Rhodes Scholar Class of 2018. Thamara is a senior majoring in Political Science and Media Analysis and Criticism. She completed her senior thesis in her junior year on the Black Lives Matter movement, and it was subsequently published in The Journal of Politics and Society. She followed this with research in the Harvard African-American Studies Department on black nationalism in the 1960s. She has worked at nonprofit organizations Democracy Works and Generation Citizen, and was a producer at the CUNY Film Festival. Thamara will study for the Master of Philosophy degree in Political Theory at Oxford. Thamara was selected from a pool of 866 candidates who had been nominated by their colleges and universities. “Macaulay Director at Hunter College Lev Sviridov, who’s a former Rhodes Scholar himself, and the entire Macaulay community, were instrumental in making sure I was not only prepared, but also went into my interviews feeling encouraged,” says Thamara about the selection process. “The support really helped me go into the experience feeling confident.” She will begin courses at Oxford next year. Macaulay’s two previous Rhodes Scholars are David L.V. Bauer Macaulay ’09 (City College) and Zujaja Tauqeer ’11 (Brooklyn College). Ranked as one of the top ten honors colleges in the nation, Macaulay provides exceptional students with a rigorous education drawing on the vast academic resources of the nation’s largest urban university and the rich, cultural diversity of New York City. Our students represent the top 4% of the 13,000+ incoming freshmen on eight CUNY campuses, including Brooklyn, City, Hunter, John Jay, Lehman, and Queens Colleges, and the College of Staten Island.